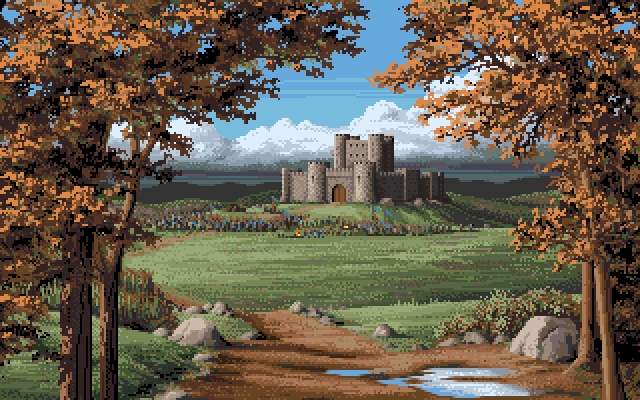 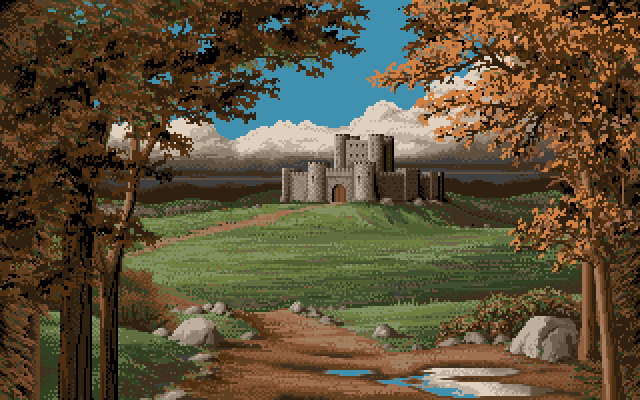 From Defender of the Crown with a day time palette. 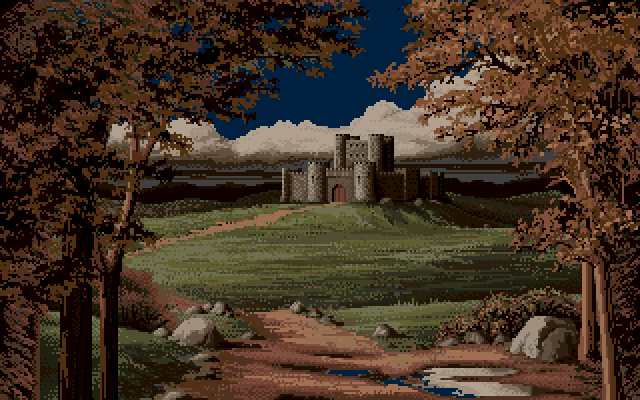 The castle pictures from Defender of the Crown used the same picture but with different color palettes for the day and night time versions. 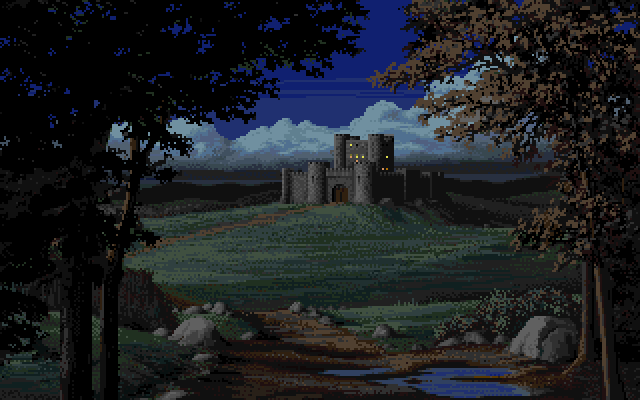 From Defender of the Crown with a night palette.